A virtual keyboard component for Vue.js v1.x.x., with different built in layouts (normal, numeric, compact), and various options to customize and choose for each use. Designed to Raspberry Pi Touch Display. Vue v2.x is not yet supported. Head to GitHub to fork it and make it your own. The project is under heavy development. 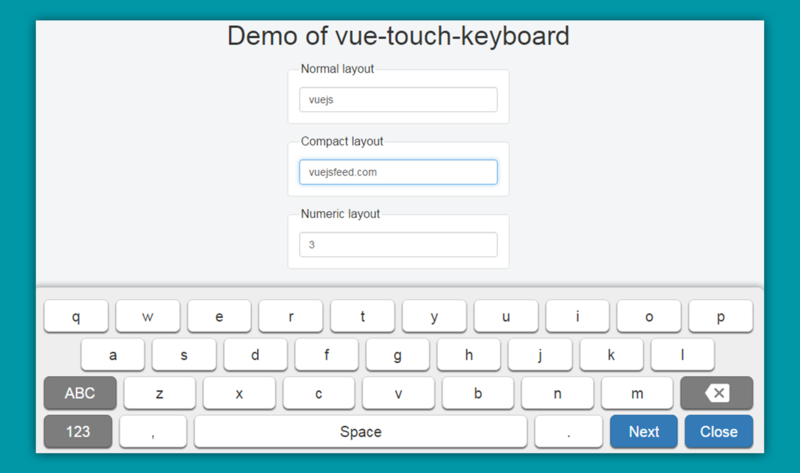 Check the Demo of vue-touch-keyboard, on JSFIddle.